This entry was posted in Fingerprinting and tagged Beverly Hills Business Service Century City Culver City Fingerprinting Livescan Los Angeles Passport Photo Notary Public Passport Photos Santa Monica Notary on November 21, 2017 by Mail Boxes Times. Fingerprinting, livescan, and passports can be useful identity check measures, and a passport is an essential piece of identification specifically for travel. Apart from that, why would you need a passport? And why would you need fingerprinting or a livescan? These essential pieces of official government identification actually have a wide variety of uses beyond travel. Livescan is a technique that allows the capture of fingerprints and palm prints to be recorded electronically. This allows for digital storage and analysis, and removes the need for ink and paper as used in traditional fingerprinting. Livescan is often used at the border of some countries to record the identity and information of those entering the country. 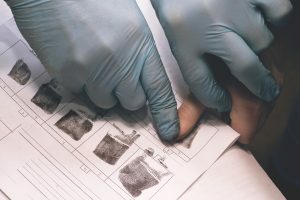 Livescan fingerprinting can be conducted at your local private mailbox store, where there is also a notary public on hand to assist you with notarizing any official documents. Live scan is different from ink and paper finger printing because it captures data from a larger area of the body, in greater detail, and is stored and accessed more easily than traditional fingerprinting. Your local private mailbox can be the ideal resource to help you navigate getting your U.S. passport. Your local private mailbox can help you order a new or replacement passport, and allow you to securely receive your passport by mail if you have a private mailbox. Passports are one of the most highly valued, reliable and widely used forms of identification. Passports can even be used in other countries to as a official identification. Passports are required for overseas travel, as they provide a universally recognized form of identification that indicates essential personal information and citizenship. And there are several other uses for having a passport. Passports, livescan and ink fingerprinting all have a range of uses from identification to employment, and they can all be accessed at your local private mailbox. Visit your local private mailbox store today to order ink fingerprinting, livescan or a passport today.